Fancy a date with nature? 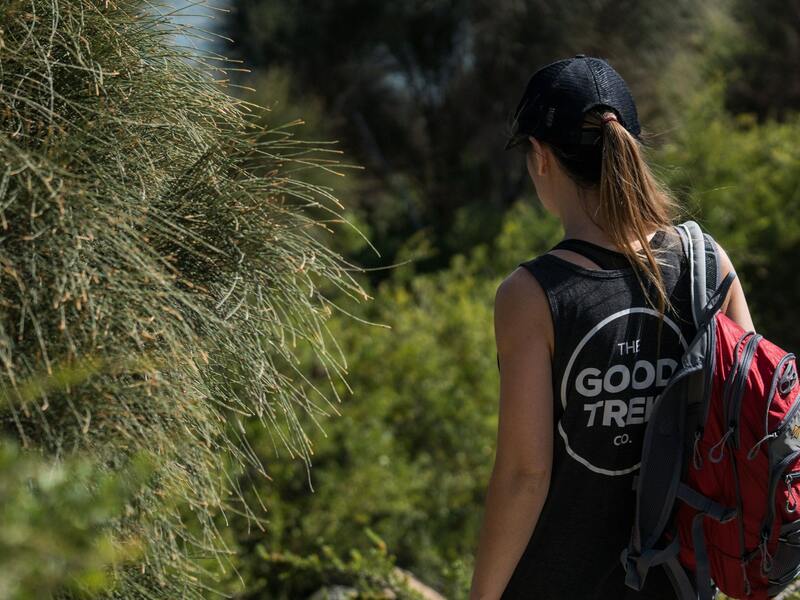 April marks the start of trek season so it’s time to celebrate with your trail-obsessed tribe and explore one of Adelaide’s most beautiful suburb to hills walks. This experience takes us along a gorgeous section of the Yurebilla Trail, starting in Morialta Conservation Park and up the hill to Norton Summit and straight to the Ten Miles East cellar door. After filling up with goodness we head back down the hill to round-out a 15km loop. What’s included in our 4-hour Trails + Tipples wellness experience: - 3-hour return trail walk from Morialta Conversation Park. - Tasting flight of Ten Miles East wines and glass of your favourite - An intro on how Ten Miles East wine is made - Plant-based grazing platter with fresh local produce - Goodie bag with Scull kombucha and Roasted On granola - Sunscreen and water - Laid-back tunes to chill to - 4-hours to switch-off and connect with nature - 10% off your Ten Miles East wine purchase at cellar door Trails + Tipples is tailored for small groups of 10 or less. Questions? Contact us or see our FAQs.